Stakeholders discuss ways to realize full potential of certification system. So far, more than 275 million tissue culture plants have been certified through this system. New Delhi: Recently the tissue culture industries, farmers and mission directors of state horticulture mission, senior officials of horticulture department in the various states dealing with tissue culture plants/quality planting material converged at Delhi. They engaged and interacted at a stakeholder meet on “National Certification System for Tissue Culture Raised Plants (NCS-TCP)” to identify the way forward to realize the full potential of this certification system which in unique, dynamic and comprehensive in nature. The Department of Biotechnology (DBT), Ministry of Science and Technology conducted the meeting to create awareness among all the stakeholders particularly key officials from Centre and State Government’s Agriculture and Horticulture Departments. In his keynote address, Secretary, Department of Agriculture, Cooperation and Farmers Welfare, Ministry of Agriculture Cooperation and Farmers Welfare, Mr S. K. Pattanayak stressed on a system in which all tissue culture material would be procured from accredited laboratories and the need for participation of states in such a system. He said that lndia is doing very well in tissue culture research and that scientific institutions of international repute is now open for Indian scientists for new research. He underlined the need for fund for popularization of tissue culture from the Ministry of Agriculture. In his inaugural address, Prof K VijayRaghavan, Secretary DBT highlighted the strong foundation of partnership between farmers and scientific community and added the need to have a well articulated project for new improved varieties for horticulture. Since India is the only country to develop this certification system, Professor VijayRaghavan pointed out that this progress can be used for building capacities in the neighbouring countries and that it would be an important step in science diplomacy. Highlighting the structure and current status of NCS-TCP and the impact it has made on production of quality materials in different states, Dr Renu Swarup, Senior Advisor, DBT stressed on the need for popularising tissue culture plants across India by 2020 and enlisting the participation of the states in the process. Government of India established the “National Certification System for Tissue Culture Raised Plants (NCS-TCP)” authorizing Department of Biotechnology, Ministry of Science & Technology as the Certification Agency vide the Gazette Notification dated 10th March 2006 under the “Seeds Act, 1966” for ensuring production and distribution of quality tissue culture planting materials. NCS-TCP has made significant impact in the last one decade of its implementation. Currently, around 80 Companies are recognized. Two Referral Centre’s and five Test Laboratories are accredited under this system. The recognized companies are eligible for getting their planting material certified from the Accredited Test Laboratories. 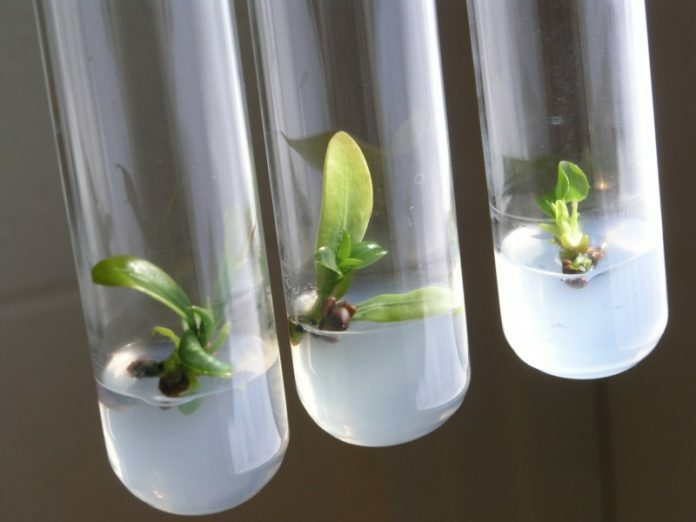 So far, more than 275 million Tissue Culture plants have been certified through this system.